Simulation Modeling and Arena. Manuel Rossetti D.. Скачать бесплатно книгу на сайте LiveLib - Лайвлиб. Simulation Modeling and Arena. Manuel Rossetti D.
Emphasizes a hands-on approach to learning statistical analysis and model building through the use of comprehensive examples, problems sets, and software applications With a unique blend of theory and applications, Simulation Modeling and Arena®, Second Edition integrates coverage of statistical analysis and model building to emphasize the importance of both topics in simulation. Featuring introductory coverage on how simulation works and why it matters, the Second Edition expands coverage on static simulation and the applications of spreadsheets to perform simulation. The new edition also introduces the use of the open source statistical package, R, for both performing statistical testing and fitting distributions. In addition, the models are presented in a clear and precise pseudo-code form, which aids in understanding and model communication. Simulation Modeling and Arena, Second Edition also features: Updated coverage of necessary statistical modeling concepts such as confidence interval construction, hypothesis testing, and parameter estimation Additional examples of the simulation clock within discrete event simulation modeling involving the mechanics of time advancement by hand simulation A guide to the Arena Run Controller, which features a debugging scenario New homework problems that cover a wider range of engineering applications in transportation, logistics, healthcare, and computer science A related website with an Instructor’s Solutions Manual, PowerPoint® slides, test bank questions, and data sets for each chapter Simulation Modeling and Arena, Second Edition is an ideal textbook for upper-undergraduate and graduate courses in modeling and simulation within statistics, mathematics, industrial and civil engineering, construction management, business, computer science, and other departments where simulation is practiced. 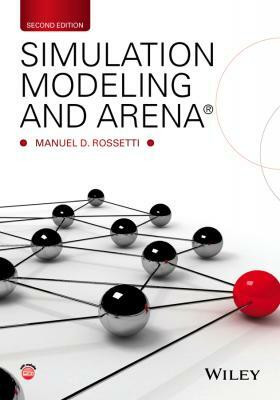 The book is also an excellent reference for professionals interested in mathematical modeling, simulation, and Arena.